This is a superb circuit of Loch Affric, the walk takes you well above the loch and passes through both outstanding pinewood and moorland scenery, with magnificent views of the surrounding mountains. This is a 18km (approx 11 mile) walk through remote terrain, please be aware that the weather can change suddenly and there may be no mobile phone signal. The going is on good tracks and paths nevertheless stream crossings may be hazardous after heavy rain, and the paths do get muddy in wet weather. Directions by car to the start of the walk: Turn right out of Brewers Cottage drive, turn left over the bridge sign posted Cannich and take the first turning on the right sign posted Glen Affric. Follow this road until it stops at the River Affric car park, toilet facilities are available (seasonally) at the car park(please note there may be a small car parking fee). From here you can continue along the road on foot this takes you on an anti-clockwise route around the loch, or take the path to the left - over the bridge crossing the River Affric this will take you on a clockwise route of the Loch. Please (and we do not wish to insult anyone's skills or intellect) remember to take navigation equipment, extra clothing and adequate food and drink. The path is indistinct and poor in places and navigation skills are required especially in inclement weather and winter conditions. Once again we remind you this is a remote area with no mobile signal and is very little frequented out of season. You will need to allow four and a half to six and a half hours for this walk depending on your fitness levels. 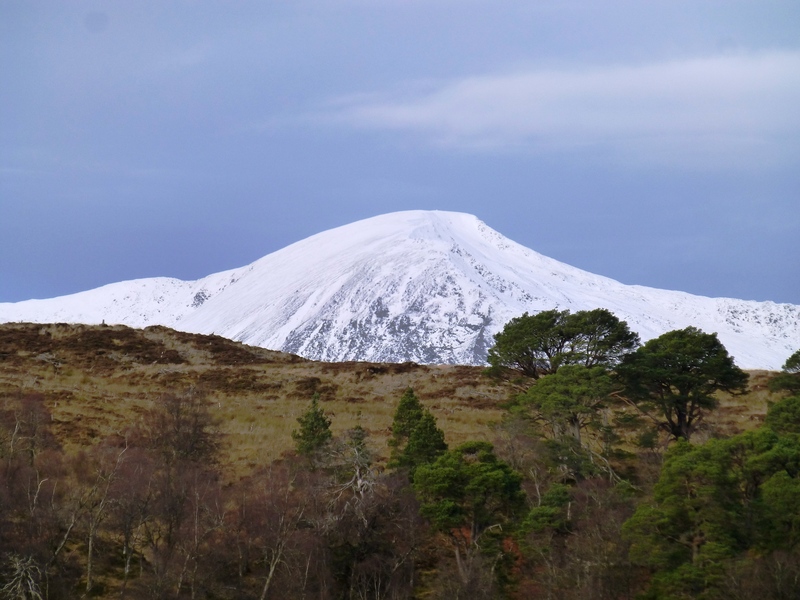 You are advised to visit the Mountaineering Association of Scotland website for the suggested equipment and navigational list required for this walk. DISCLAIMER: The Brewers Cottage owners can take no responsibility for your health and safety on any of its suggested activities. The information on the Brewers Cottage website is for suggestion and guidance only.